Here is currently what I am working on. I started piecing the top but haven't gotten very far. I don't have pictures because I told Derek that I would surprise him with the quilt since Halloween is his favorite holiday. I have made all of the blocks but haven't assembled the top until I decide on the layout. 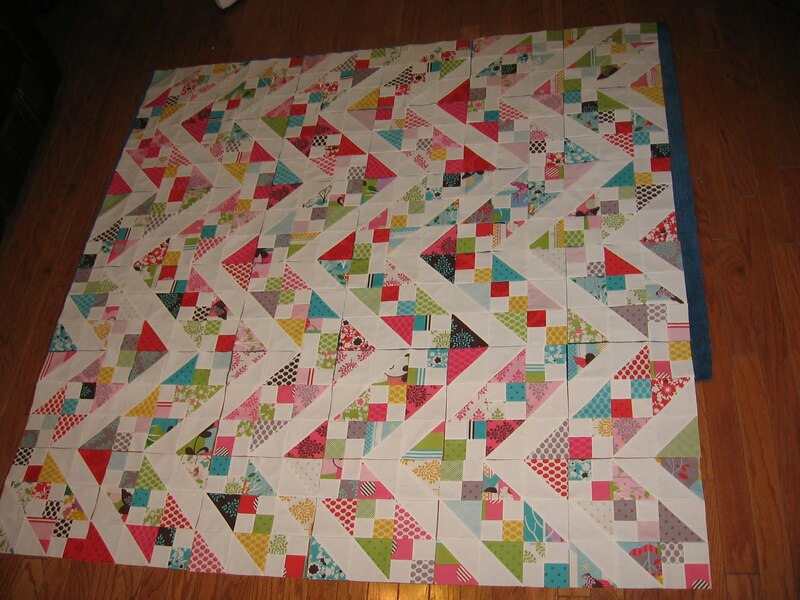 I am leaning toward the zigzags but I also like the boxes pattern. Bryan asked me to make a quilt for Sonny for Christmas. And of course that means I have to start thinking about it now. Here is the design and fabrics for the centers. 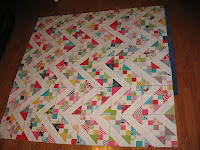 The blocks have long been cut and pieced. I just need to lay it out and decide on where everything goes. The house is supposed to begin having concrete poured today and then cure. The have dug trenches with rebar and other wire mesh that I assume becomes the footings/slab. Before too long we might have walls. Still scheduled to complete on September 15!